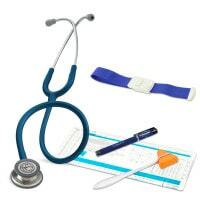 The stethoscope, like other diagnostic instruments, is one of the most basic medical devices used in surgeries and clinics. 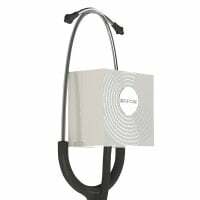 From double tube stethoscopes for cardiologists up to electronic listening devices, Praxisdienst offers a wide selection of high-quality, brand name stethoscopes from Littmann, Erka and Riester, at affordable prices. 71,90 EUR* Not ready for shipping. Reserve today and we will ship as soon as possible. 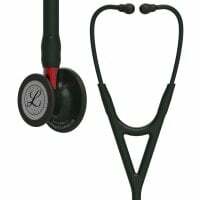 The stethoscope belongs to the standard, diagnostic equipment of every physician, as it allows for the auscultation of bodily sounds, such as the heartbeat or circulation. Stethoscopes are very flexible diagnostic instruments, which are not only useful in cardiology and general medicine, but also in pulmonology, angiology and emergency services. 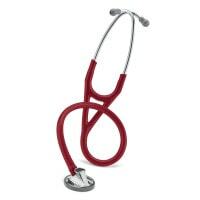 The 3M Littmann stethoscope is especially popular, due to its excellent acoustics and high-quality craftsmanship. 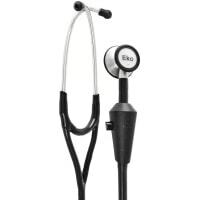 Typically, a stethoscope consists of a chestpiece, the tube and the headset with compatible earbuds. The chestpiece, with the diaphragm and/or a funnel, is placed on the patients body, where auscultation is to take place. The chestpiece records the noises in the form of sound waves and transmits them through the tube, into the headset and emits the sounds out of the earbuds into the ears of the examiner. Although stethoscope tubes used to be mostly only be available in black or gray, the diagnostic instruments, today, are available in nearly every modern colour, such as Caribbean blue, burgundy, dark blue or ruby red. 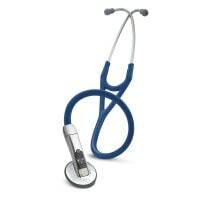 Furthermore, the stethoscope can come in special editions, with which the metal components can also have a deviating colour scheme e.g. 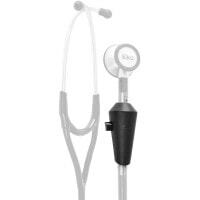 the Black Edition from Littmann, which has all components in black. This allows doctors and nurses to individualise these diagnostic devices to meet their personal tastes. 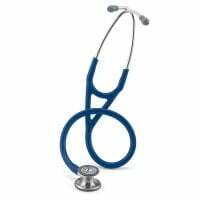 In addition to simple stethoscopes, there are also specially designed devices, based on need, such as the dual-head stethoscope, the double tube stethoscope (Rappaport) or the paediatric stethoscope. 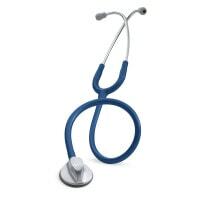 For auscultation of foetal heartbeats, the gynaecological, Pinard stethoscope, which represents an ear horn, also comes in handy. Acoustic stethoscopes relay sound, which results from physical phenomena. Depending on the chestpiece style, the stethoscope can then auscultate higher or lower frequencies. 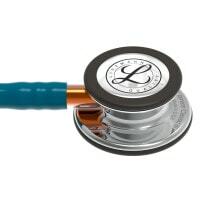 Many Littmann stethoscopes include a special diaphragm, which allows for the detection of higher or lower frequencies, based on contact pressure. Acoustic stethoscopes provide enormous differences in quality. 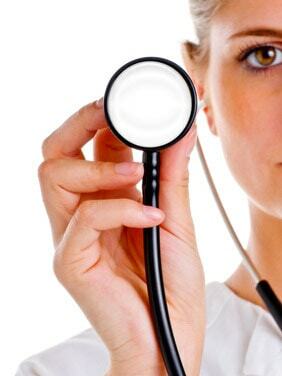 Simple Stethoscopes are typically used for measuring blood pressure or during preliminary exams. 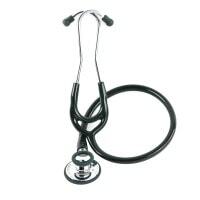 High-quality diagnostic instruments, such as cardiology stethoscopes, are useful for challenging examinations. 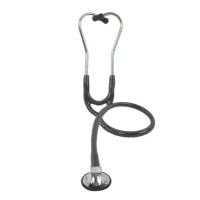 A special form of stethoscope is the ear horn resembling Pinard stethoscope that is used for listening to foetal heartbeats and noises. 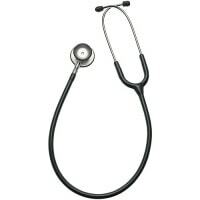 The flat head stethoscope has a flat diaphragm chestpiece and is used for general preliminary exams or blood pressure measurements. This is a convenient instrument that is not designed for precise examinations. The Rappaport has a relatively short, double tube, a reversible, dual-head chestpiece and interchangeable funnels and diaphragms. The double tube stethoscope can equally be used with children as with adults. The preferred examination instrument for cardiologists is usually the dual-head stethoscope, equipped with a funnel and a diaphragm. These diagnostic instruments allow for auscultation of high and low frequencies. 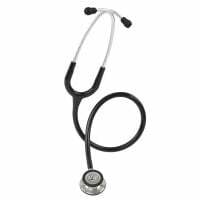 Littmann stethoscopes are often equipped with a dual-frequency diaphragm, which allows you to adjust for higher and lower frequencies via your contact pressure on the patient. For listening to children and babies, there are special paediatric stethoscopes, which have particularly small chestpieces that are perfect for smaller patients. Paediatric stethoscopes and infant stethoscopes are, of course, designed for use by paediatricians. In addition to the acoustic stethoscope, there is also an electronic stethoscope, which is able to electronically enhance the sound. With this method, even extremely weak bodily sounds can be clearly detected. Electronic Stethoscopes are also suitable for auscultation of overly obese patients. The battery operated devices are also available from Littmann. A special feature of some electronic stethoscopes is the record function. With this function, examination stages can be recorded, uploaded to the computer and listened to again. The assortment from 3M Littmann not only consists of stethoscopes for monitoring adults, but also paediatric stethoscopes, with extra small chestpieces, for auscultation of children and babies. 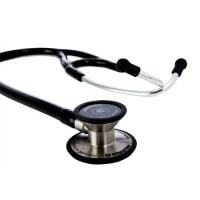 The Littmann stethoscope celebrates great popularity, thanks to its high quality and excellent price-performance ratio. 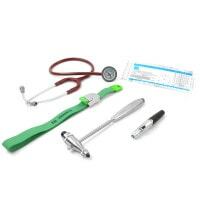 Each stethoscope from the 3M Littmann brand can be ordered with various tube colours. As of January 2016, we are officially authorised retailers of Littmann stethoscopes. 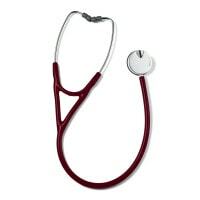 At Praxisdienst, we offer you exclusively original products like the Littmann Classic III from this renowned manufacturer. 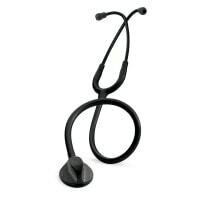 In our online shop, you will find stethoscopes from renowned brands and manufacturers, such as 3M Littmann, ERKA or Riester, as well as other diagnostic instruments and measuring devices like reflex hammers, dermatoscopes or diagnostic torches. Regardless whether you are a paediatrician, cardiologies, medical student, nurse or you work in emergency services: with us, you may buy the perfect stethoscope for every need! 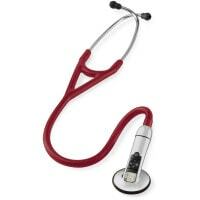 You would like to purchase a stethoscope and need help? Our customer service will gladly assist you!